Recent data indicates that the cause of rosacea is a tiny mite that lives on our skin. For various reasons people with rosacea have more than 10 times the amount of mites commonly seen on the skin. 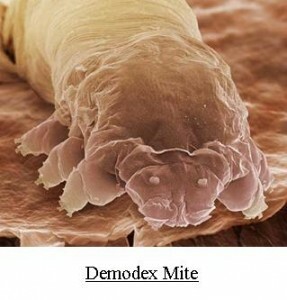 The mites live and feed off the oily sebum on the skin and were previously thought to be harmless. However, we now know that the problem occurs when the mite dies off, it releases a bacteria onto the skin and your body reacts to the bacteria causing inflammation to get rid of it. 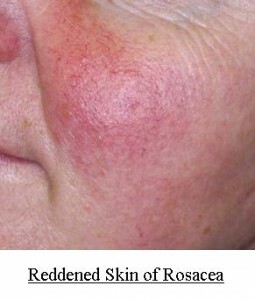 The inflammation produces the redness, burning, and other symptoms associated with rosacea. We’ve found a simple solution to help with the problem. FaceDoctor Complexion Soap contains an active ingredient, Seabuckthorn Oil, which is clinically proven to kill the Human Demodex mite. 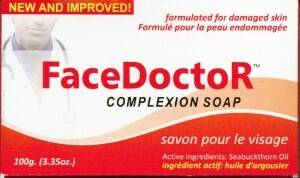 Using the FaceDoctor Soap is quite simple. Just lather it up and apply it to your affected area both in the morning and evening. Let it on your skin for 30 seconds and rinse off. Our patients have reported a good response to their rosacea with this approach. Ask for it at our front desk.